these would be good for St Patrick's day. It doesn't look as though this lady is used to having her photo taken, she looks very nervous. Beautiful jade -- and lovely art/craftsmanship..... That's good advice about any salesperson in my opinion. Sorry about the difficulty to get to my blog - and thank you for persevering! I wrote you an email about my urls with direct links - see if they work, and please let me know! Oh...jade -so beautiful. Lovely post, LindyLou! My son told me that they call jade the "gold" and the real jade (not the jade dust) can be more expensive than gold! 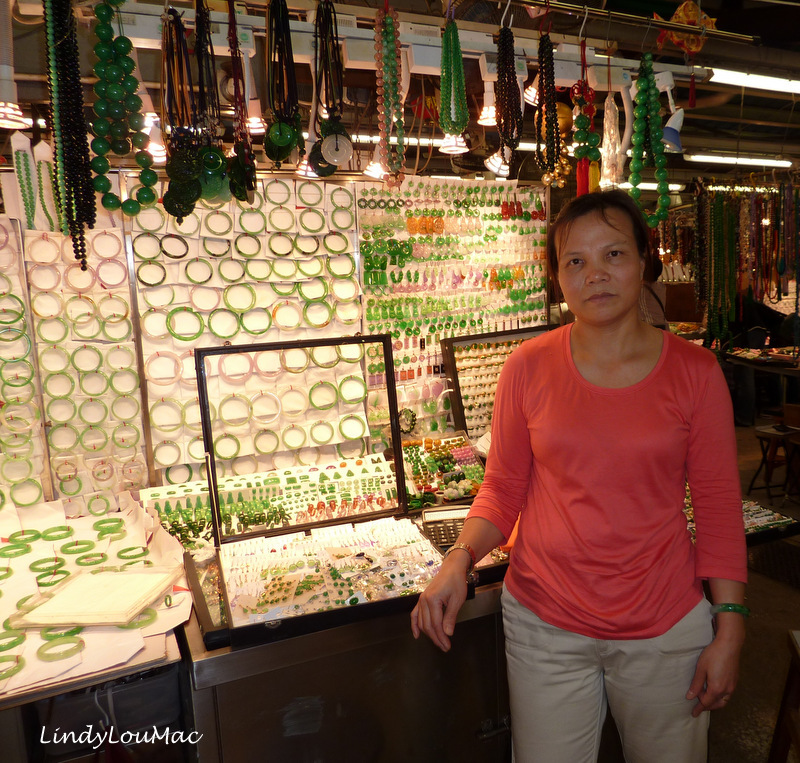 There was a jade factory with the most beautiful pieces by the Great Wall in Beijing:) Wish you a beautiful week!